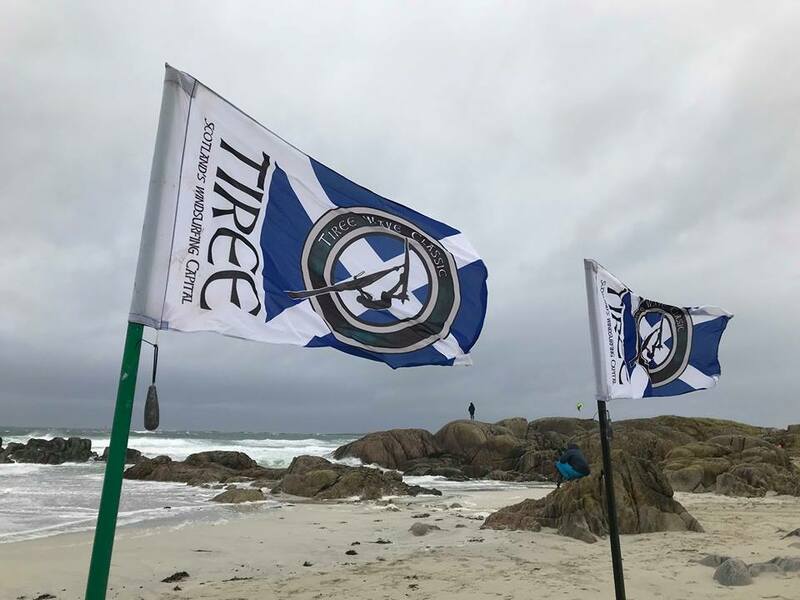 We are extremely delighted to be back this year at the 32nd Tiree Wave Classic. 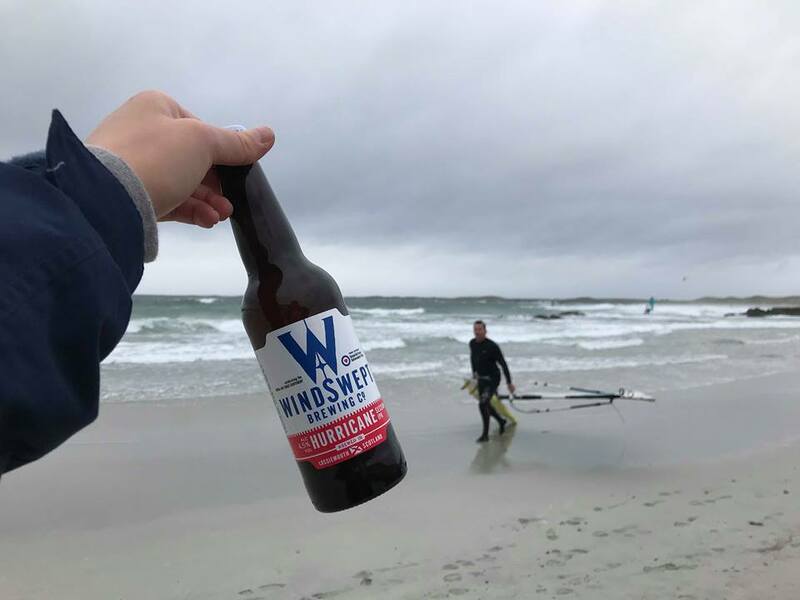 Whether you are heading out on the waves or spectating, over the week we will be on hand to supply the beers. 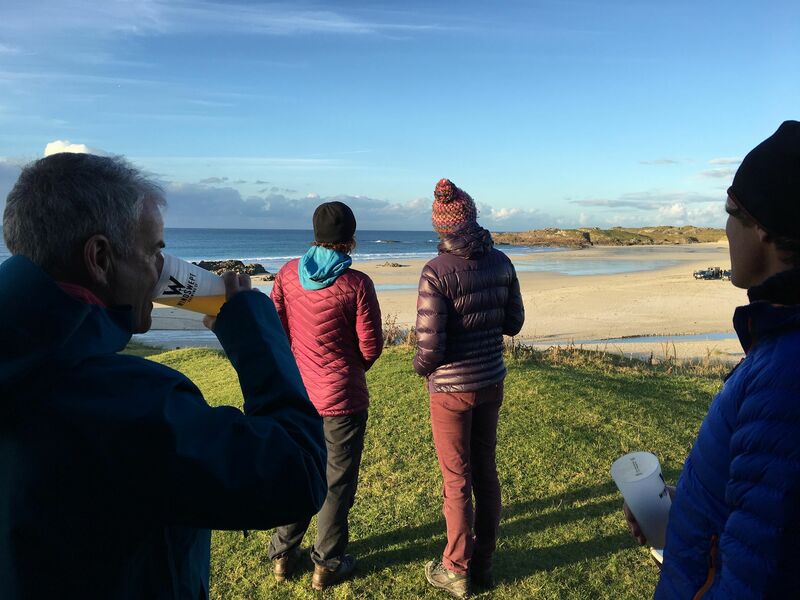 You’ll be able to find us in the main Event Village located in the An Talla Community Hall; a thriving hub during the week, featuring a pop up cafe and surf shop. 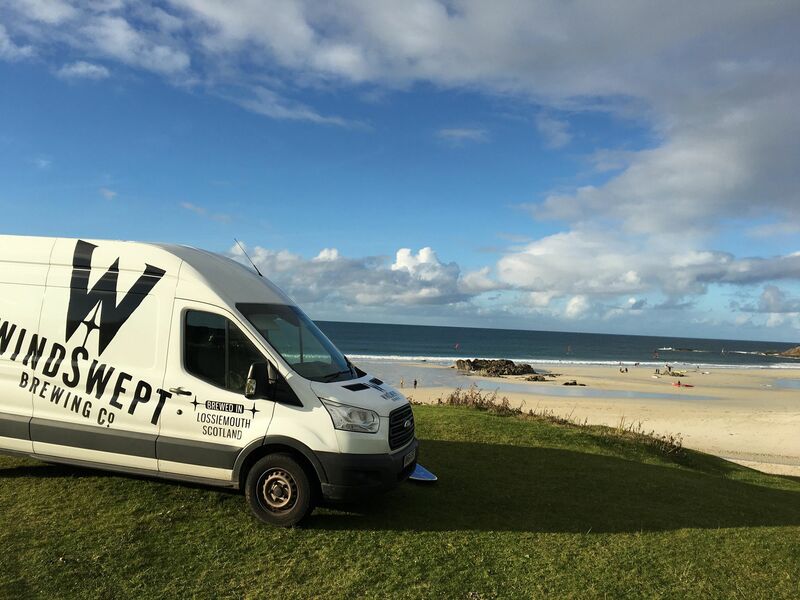 In addition to this we will of course be on the beach with our famous Tiree “van bar”. This year Tap Room manager Ailsa will be joining Nigel on the adventure. To keep up to date with all the action, check out our social media and website BLOG for videos, photos and chat from the team. 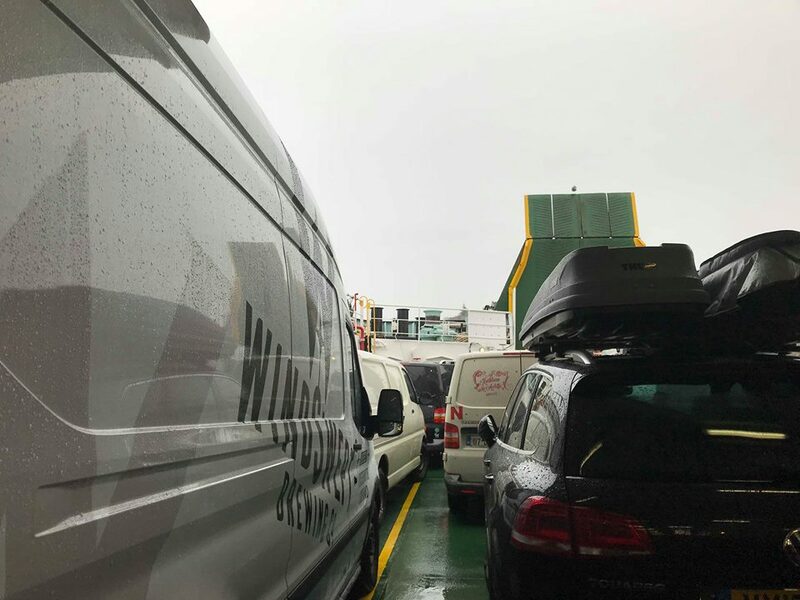 1pm: Thanks to heavy winds which resulted in the cancellation of our ferry that was due to leave this morning at 6am, 24 hours later than originally planned we have set off for Oban. Loaded with beer, gin, whisky and wine… the party is now on its way! 11pm: Nigel and I met up with some of the awesome Red Handed TV team (production/film crew) who will spend the next week on Tiree creating daily short videos to be streamed across the globe. 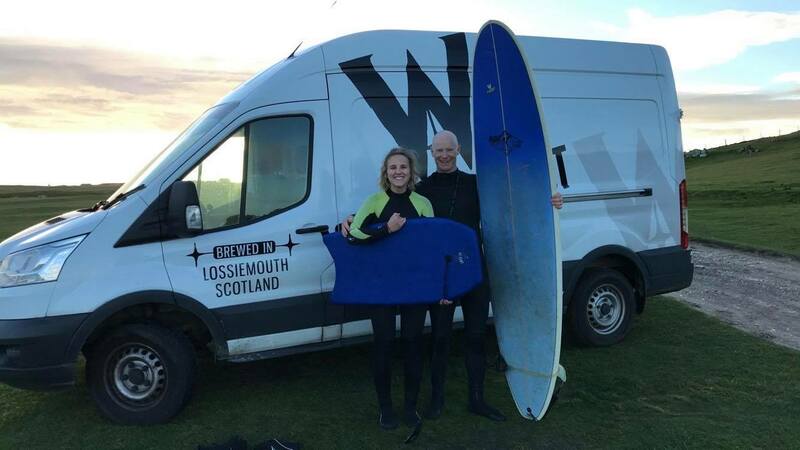 On meeting one of the crew Sean, I sneakily introduced myself as Ailsa, a pro windsurfer sponsored by Windswept; believed fully until I had to admit I was fibbing. Wondering how many times I can keep this up? Haha! 2pm: There were points during the week I wasn’t so sure we were going to make it to Tiree at all, so I am relieved it is finally time to set off for the ferry. However, not before a stop at Oban’s “famous” fresh fish bar. It was scallops for Nigel and Stugeron travel tablets for me (only a precaution). 11.30pm: Well I survived the ferry (actually really enjoyed it), set up the bar and didn’t drive into a sheep on the way to our accommodation in the dark*. Result! 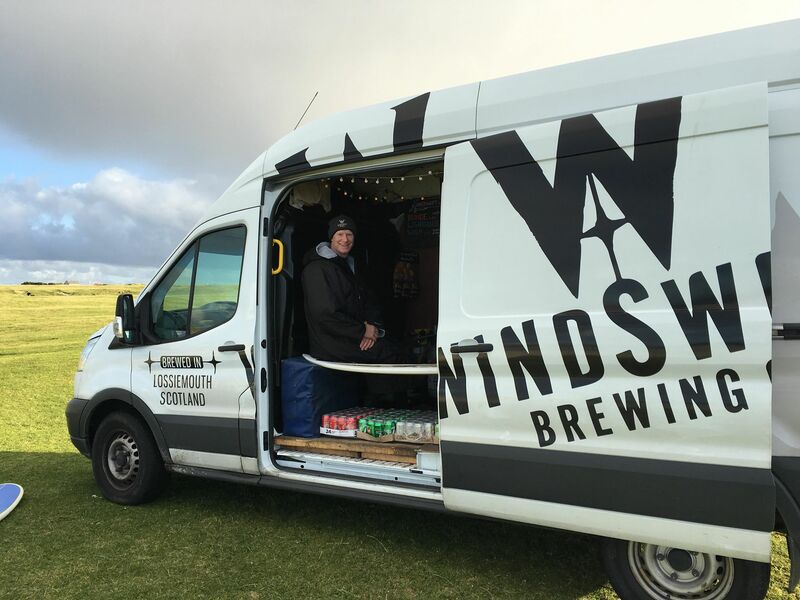 After months of discussions surrounding the event and weeks of planning, it is great to finally be on the island serving our craft beer to the incredible event organisers, staff, participants, locals and tourists. Now tomorrow… Bring on the waves! *It seems the majority of Tiree’s population is sheep and cattle, left wild to roam. Love it! 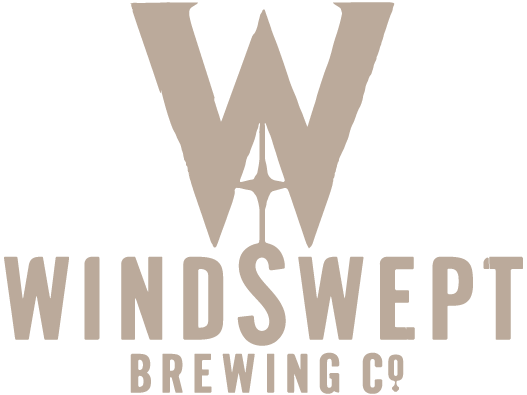 Sun 14th Oct: The Windswept Brewing Co. Beach Van returns to Tiree! Unfortunately today’s conditions weren’t ideal for competing, however our BLONDE, WOLF and LIGHTHOUSE went down a storm this afternoon on the beach. After an awesome Sunday fun day the entire fleet is warmed up and ready to go for competition day on Tuesday. Check out today’s action here courtesy of Red Handed TV. 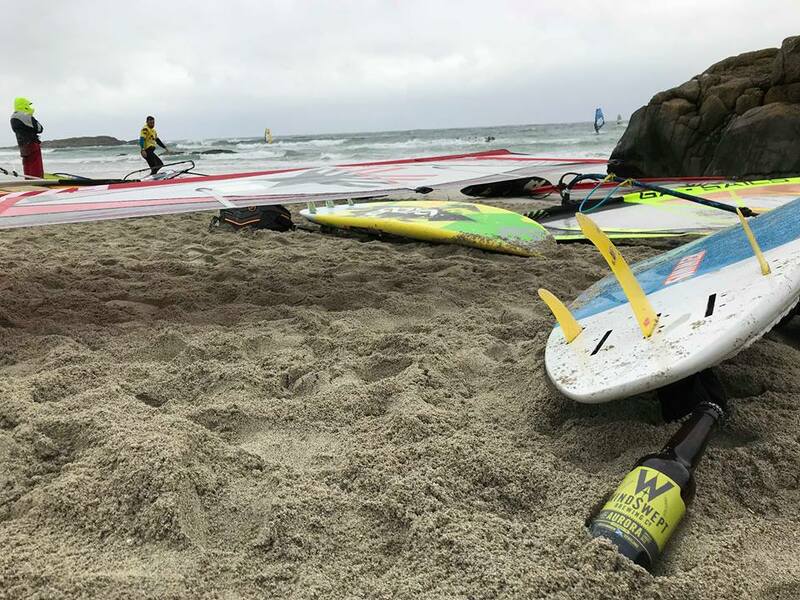 After an awesome Sunday fun day the entire fleet is warmed up and ready to go!Check out today's action below:#onlyone #tireewaveclassic2018 #twc #winners #futurepros #abplace2bVisitScotlandArgyll and Bute CouncilWindswept BrewingThe Scottish Salmon CompanyBWA - British Wavesailing AssociationUK WindsurfingWild Diamond TireeInveraray CastleRed Handed TVRYA ScotlandTiree Community Development TrustCalMac FerriesTiree Community CouncilMaverX MastsBoards Magazine InternationalWindsurf MagazineContinentsevenOshea SurfOban TimesThe Times and The Sunday TimesGordon Castle Walled GardenRed BullWindsurfing.TVThe TelegraphFinancial TimesNEILPRYDE WINDSURFINGGaastra WindsurfingDuotone Windsurfing InternationalGoya WindsurfingQuatro WindsurfingNaish InternationalTabou WindsurfingEZZY SAILSS2MauiJP AUSTRALIAVideo Courtesy of RedHanded TV. Mon 15th Oct: Bring on the waves! One of the most inspirational elements to come out of the last 32 years on Tiree is the Future pro’s Youth Camp. Inspiring and training the next generation of professional windsurfers on a full UK circuit. Today was their day, along with Ailsa who joined Nigel in the water for a bit of a “surf”. Tue 16th Oct: The Competition Kicks Off! 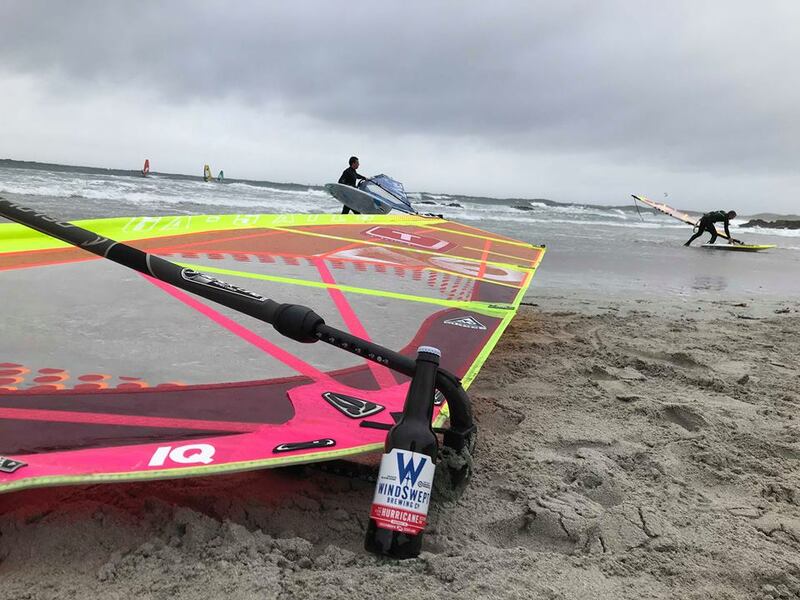 The wind arrived, so it was 12 hours of non stop competition from dawn until dusk. For more information visit the Windsurf Magazine here for all the details.